Phew! Seems like just yesterday Matthew Broderick’s character Ferris Bueller charmed us by skipping school for a day and getting up to all sorts of mischief. 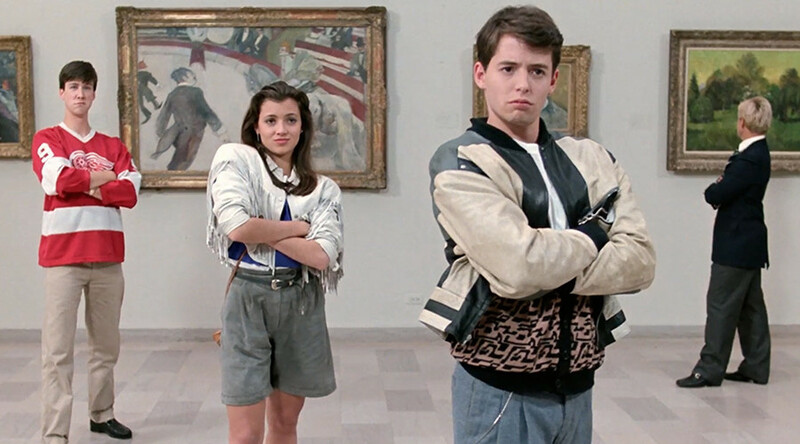 But it’s actually been 30 years and fans of the legendary John Hughes movie Ferris Bueller’s Day Off will celebrate its anniversary with Ferris Fest. The three-day party will take place in May to mark the film’s 1986 release and includes a Q&A with members of the cast, a guided tour of the film’s Chicago locations, and a recreation of the parade in the famous “Twist and Shout” scene. Fans who fork out for the full $300 package get to check out Sears Tower (we’ll never call it Willis), the Art Institute, and Wrigley Field, including a chance to sit in the actual seats where Ferris and Cameron rooted for batter to sah-wing. Of course, there will be a screening of the film and, perhaps the fest’s most fascinating feature, a replica of Bueller’s bedroom complete with his complex rig to fool his parents. Cindy Pickett and Lyman Ward, who played Bueller’s parents, will take part in a Q&A session, but Broderick has not yet been confirmed. That would be so choice, if they have the means. Films and franchises rarely achieve a cult following strong enough to support their own festival. Lebowski Fest is an abiding event that celebrates the world’s most famous bowling film - and occasionally the Dude is known to make an appearance. And since we’re already celebrating one 1986 cult classic, what about a Johnny 5 Fest? Ferris Fest spins into Chicago between May 20-22. Might be worth skipping school for that one.